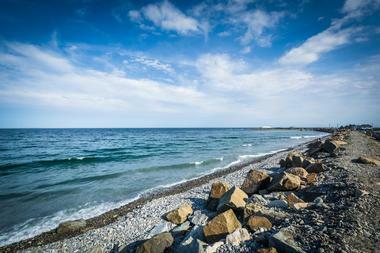 New Hampshire boasts numerous beaches, including five state park beaches along the ocean. In addition to the ocean beaches, there are also many lakefront beaches that offer just as much fun as well. There is plenty of fun to be had near or in the water for both visitors and New Hampshire residents alike throughout the state. Echo Lake State Park is located in North Conway in New Hampshire and is a 15.7-acre state park that includes Echo Lake, along with White Horse Ledge and Cathedral Ledge, two rock ledges boasting great scenic views. Activities visitors can take part in in Echo Lake State Park include fishing, picnicking, non-motorized boating, hiking, and swimming. The park also features a trail that takes hikers around Echo Lake and is about a mile in distance. Hiking trails and a road lead to the summit of the Cathedral Ledge, which offers views over the Saco River Valley out to the White Mountains. Hampton Beach is another state park with a beach in the state of New Hampshire, providing outdoor recreation year-round on the sandy oceanfront of the Atlantic Ocean. Activities offered at Hampton Beach State Park include RV camping at the campground with full hook-ups, picnicking, fishing, and swimming. 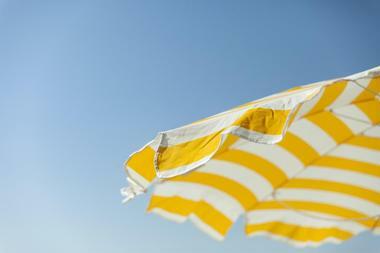 Lifeguards are on duty at the , beach typically from June 11th until September 5th, from 9:00am until 5:30pm every day. Hampton Beach is one of the most popular beaches in New Hampshire and is often honored as being one of the country’s cleanest beaches. There are several shops and other entertainment nearby. 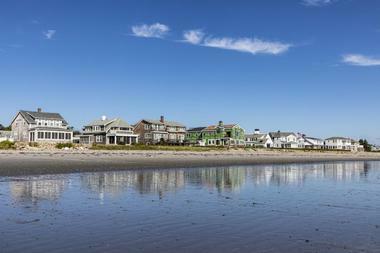 Jenness State Beach is considered by many to be a great beach for families. 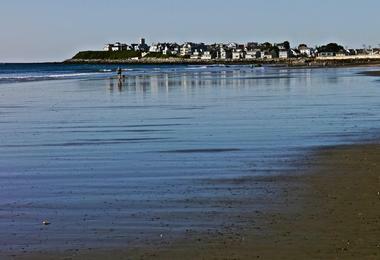 With its oceanfront Atlantic setting, Jenness is a sandy beach offering ideal conditions for picnicking and swimming. The amenities provided for visitors at the beach include a public bathhouse. Metered parking is available for up to sixty-seven vehicles. Pay stations at the state beaches accept debit cards, credit cards, coins, and cash. While Jenness State Beach is probably just as beautiful as some of the neighboring beaches, its limited parking keeps the beach from getting as crowded as some of the other beaches nearby. Thee Mount Sunapee State Park is a recreation area located the town of Newbury, New Hampshire. The state park consists of the majority of Mount Sunapee and a beach area along Lake Sunapee. The beach at Mount Sunapee State Park also goes by the name of Newbury Beach and boasts a playground, kayak rentals, canoe rentals, a store, and a bathhouse. There is also a boat launch that can be used by visitors of the park, with a few restrictions. Activities available at the state park include non-motorized boating, picnicking, fishing, skiing, camping, hiking, and swimming. 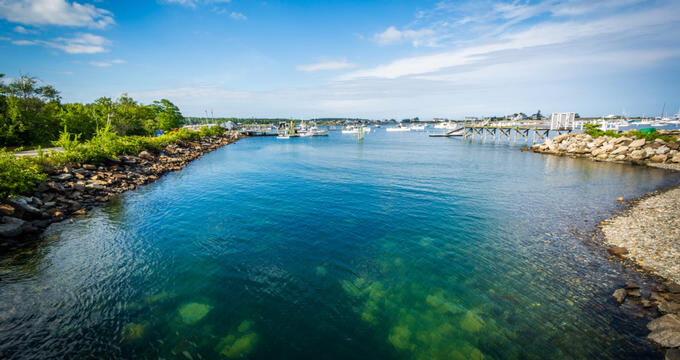 The Odiorne Point State Park is a play where those who love to have a picnic in a park can enjoy the sweeping and amazing views of the rocky shore and the Atlantic Ocean, while more adventurous explorers can explore and discover evidence of the area’s past military occupation. Odiorne Point State Park also features an extensive trail network that meanders its way across the park and through dense vegetation. Also located on the grounds of the state park is the Seacoast Science Center with exhibits associated with both the human and natural history of the seacoast area and Odiorne. Sunapee State Beach is the most popular and largest beach at Lake Sunapee, located at Chandler Brook, approximately three miles from Newbury. The beach is accessible by means of an access road found opposite of the entrance of Mount Sunapee State Park. 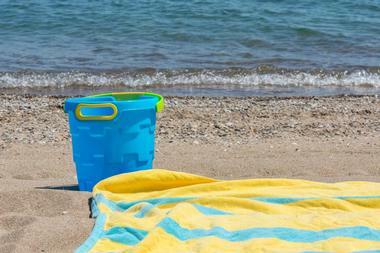 There is a small admission fee for the beach, which gives visitors access to the facilities. The Sunapee State Beach features a sandy beach, kayak and canoe rentals, picnic tables, a shop selling drinks and snacks, toilets and showers, and changing rooms. The shallow, broad area for swimming has a gradual slope leading into the lake. The Wallis Sands State Beach is considered to be a great family beach in New Hampshire, not too big in size and bordered by a rock barrier on both sides. There is a bathhouse is separated from the nearly pristine and sandy beach by a low concrete wall and features a store that sells a variety of items. There is an ample amount of parking at the small Wallis Sands State Beach, along with a decent sized grassy area between the parking lot and the beach that provides space for wiffleball, volleyball, or playing with a frisbee. Weirs Beach is similar to the experience visitors would find at Hampton Beach, but on a lakefront instead of the oceanfront. The beach is located on Lake Winnipesaukee and features a boardwalk that extends for approximately 1,300 feet and is filled with souvenir shops and arcades. Going a little further out, visitors can find some of the best lake views around. Weirs Beach itself is 260 feet wide at the widest point and 680 feet in length. The water near the beach stays rather shallow for a good distance, providing a place for water games and young children to play. Wellington State Park in Bristol, New Hampshire is the state’s largest freshwater swimming beach in its state park system. 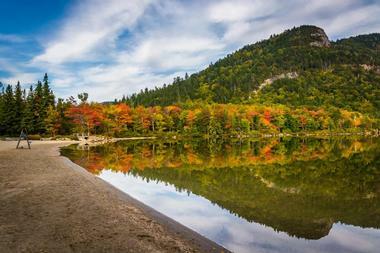 Picnic areas and hiking trails near the shore offers views of one of New Hampshire’s clearest and deepest lakes. Located at the Wellington State Park are horseshoe courts and volleyball courts, along with a Snack Bar that provides cold beverages, ice cream, snacks, souvenirs, picnic items, and beach items. Gas grills are permitted , as well as charcoal fires and wood fires for cooking. 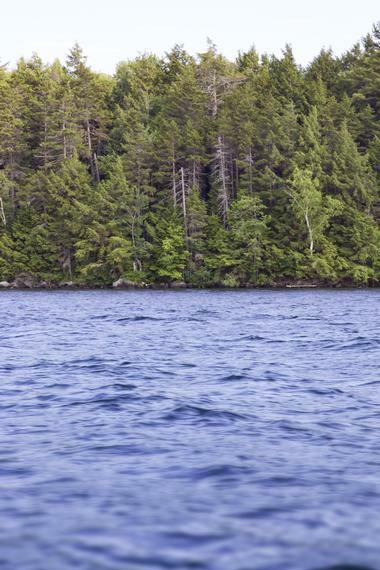 The park boasts amazing views of the Belle and Cliff Islands and Newfound Lake, and designated areas for fishing. 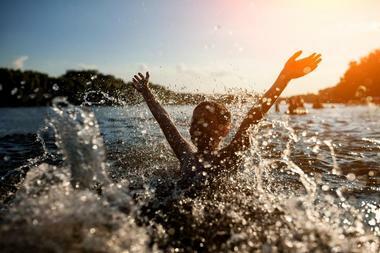 The White Lake State Park is where locals and visitors alike can find some of the White Mountain region’s best areas for swimming. The state park is situated along the shoreline of White Lake, a typical example of a glacial lake. Visitors can take an enjoyable walk on a well-maintained path around the lake while looking for signs of beavers or loons. Guests can also try their luck with trout fishing in White Lake or go out on the water with a boat rental. 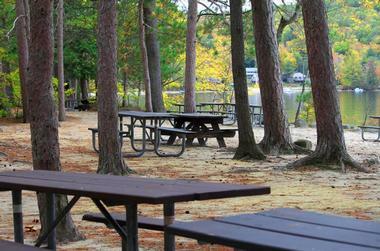 White Lake State Park consists of group areas, a day-use area, and both family and youth group camp sites.